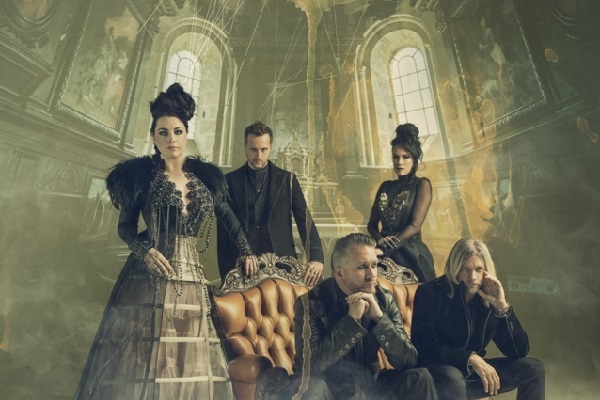 Evanescence spent much of the past year on the road for their “Synthesis” tour, and now, Amy Lee and company are prepping an upcoming “Synthesis Live” concert film. The action-packed live concert movie was filmed last fall on the band’s tour, which featured Evanescence accompanied by a full orchestra. To get fans pumped for the release, Evanescence has released a clip of the band’s performance of “My Immortal” from the film. As anticipated, the “Fallen” track sounds remarkably different and more emotive backed by a flurry of strings. Watch the performance via Kerrang.com below. “Synthesis Live” will also offer classical arrangements of some of Evanescence’s most popular songs, such as “Bring Me to Life,” “Lost in Paradise,” “Never Go Back,” “Speak to Me” and “Lithium.” The collection will arrive on Oct. 12. In other news, Evanescence recently closed on a co-headlining tour with popular violinist Lindsey Stirling. That tour saw the two performing at amphitheaters across North America, also backed by a full orchestra.